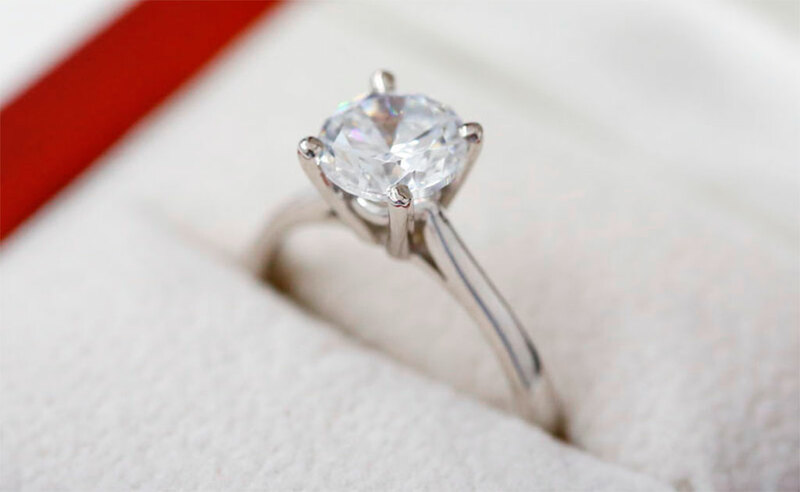 When it comes to purchasing diamond engagement rings, there is no better place in the UK to head than London’s Hatton Garden. It is packed to the brim with engagement ring specialists. In fact, this location is so fantastic, people head here from all over the world to pick up engagement rings. Let’s take a look at why. Head anywhere else, and you will probably have one, maybe two at a push, stores to choose from when it comes to engagement rings. This means that you are not going to have the biggest choice in the world. In fact, with so few stores, you may be pressured into choosing an engagement ring that you are not quite happy with! When you are proposing to somebody, you want to ensure that you give them the best ring possible. You are declaring your love to them, after all. When you have tons of stores to choose from, you will have plenty of rings to choose from. This will make it easier to find the perfect engagement ring. If you do not like what one store in Hatton Store is offering, then you can just hop on over to the next store without any issues. This will guarantee that you end up with something that is right for your proposal. Obviously, any store which claims to offer real diamonds will be offering real diamonds. They wouldn’t lie about that. It would be illegal. However, it is fair to say that the best diamonds are not getting to the standard store that you find in the High Street. Once again, if you are looking to propose to somebody, then you need to know that they are getting the best engagement ring possible. This means ensuring that you end up with a flawless diamond. Since Hatton Garden is so popular, the stores there are able to get their hands on some of the best diamonds in the world. The price is going to be ever so slightly higher for these diamonds, as you may have expected, but at least you are going to end up with somebody that is perfect for your proposal. As we mentioned before, most places will just have a couple of engagement ring stores in the area. This means that there is not any real competition. They know that they can charge slightly higher prices and that you will probably be willing to part with the cash for them. When you shop at a store in Hatton Garden, the prices are going to be more competitive as there are so many other businesses operating in the area. This means that you are able to score the best possible prices on engagement rings. This is wonderful. After all, you want to save the most amount of money possible as engagement rings can be expensive! Why not head to Hatton Garden today?